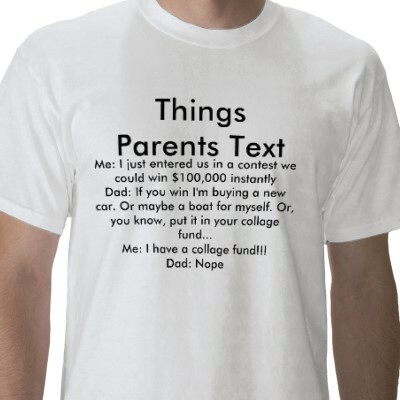 What’s the Real Message Being Sent When Parents Text Message? Technology. Ever-changing. As mainstream as a body piercing or a tattoo. It certainly has its value and certainly serves a purpose. It is also part of the creative energy and evolution of human beings. However, its’ subsequent explosive popularity has greatly contributed to the breakdown of the very fiber of interpersonal relationships and the ability to communicate. To me, as a Life and Relationship Coach, text messaging, like emailing, has a perverse and adverse effect on its’ participants. I do not believe this is a generational issue where those of us, who shall we say are more mature in our years, are resistant to technological change. I strongly feel that the real issue that arises when parents text is spiritual immaturity. In this context, I define a spiritually mature person as someone who puts their consciousness first. When we are truly conscious concerning our relationships, specifically the relationships with our children, we are showing a genuine desire to commit and forge a strong bond with other people. We are leading by example. Technology has become a symptom of severe spiritual disconnectedness. It is another way to remain unconscious and not fully participate in the game of life. In a blog I posted several months ago I wrote about where dysfunctional behavior comes from. I wrote about the emotional ‘chain of pain’ that is passed down from one generation to the next. I stated that if unchecked, the pain becomes heightened and more acute with each subsequent generation. This ‘chain of pain’ is now so severe and widespread that I attribute it to being the cause of most dysfunctional behavior in our society. When parents text, we are witnessing just another symptom in a long line of behaviors that are contributing to the breakdown of our society. It appears that parents, in their unconscious state, are creating new links to this chain of pain. Constantly on the go and on the move, striving to be more and ‘get it all done,’ they don’t have a moment to stop and be at peace. They also do not have to deal with their children’s emotional pain and through addictive, compulsive behaviors like text messaging, they never have to deal with their own emotional pain either. When parents text, we are witnessing ‘dysfunctional noise.’ This noise is any behavior, activity or distraction that keeps us from breaking free from emotional pain and re-uniting ourselves with ourselves and those around us who we love and cherish. Dysfunctional noise is symptomatic of someone in emotional turmoil and pain. The degree of pain experienced is different for each of us. So, when parents text they lay the groundwork for creating what is viewed by the illogical mind of a young child, as ‘acceptable’ behavior. Unchecked, we are witnessing the demise of conversation as we have known it since man learned how to communicate with language. More serious is the fact that we are isolating and detaching ourselves from other human beings. This in turn is destroying one of the main pillars necessary for human survival: interaction with others and the need for feeling and being included. When parents text they are promoting a different set of values than those that promote close family ties and bonds, good communication skills and inclusion in a world where survival is dependent upon strong relationships. At this point, I would like to say that I am not suggesting we give up or eliminate technology for communication and informational purposes. On the contrary. Technology, I believe, can continue to play a huge, positive role in raising our consciousness as human beings and as a result, bring the people of this world closer together. Parents, the next time you feel the impulse to text someone whose relationship you value either personally or professionally, consider opting for the god-given gift of communicating through speaking. If you’re feeling challenged with or being resistant to participating in an in-person or phone conversation, I suggest you begin to ask yourself ‘Why?’ Don’t make excuses! Don’t blame anyone else. Don’t blame it on your busy schedule! Most of all, don’t blame yourself! As I stated earlier, when parents text, when kids text, or when anyone is text messaging compulsively, we are witnessing a symptom of deeper emotional pain. All pain, no matter what we call it, is rooted in fear. And the truth is, the majority of us live in a fear-based world both within ourselves and all around us. To eliminate emotional pain requires a healing process that moves us out of a fear-based internal world to one that is rooted in love. One way to begin this process is to ease up on what I termed earlier as ‘dysfunctional noise.’ Be open to text messaging and emailing less and telephoning and talking in-person more. Be open to being outdoors with nature. Leave the technology home. You won’t miss anything. If the earth falls off its axis you will be the first to know about it! Many of my clients who are on the path of emotional healing have indicated to me that sometimes without the noise of technology, the silence can be deafening. I always suggest that they stay the course because they are in the process of re-connecting with themselves and those relationships that are important to them. When parents text we are witnessing just one of a long list of dysfunctional behaviors that sooner or later will have to be reckoned with if we want to thrive both emotionally and physically as healthy human and spiritual beings. I believe that we deal with it now! How about you? Jon’s blog ‘when parents text’ is so on point. His insight on texting and communicating via technology can and does harm relationships sometimes to a point of no return. I was being texted so much I thought, I’ll need to put a restraining order on his texting finger. I agree with Jon when we hide behind texting we lose our abilities to truly communicate. Remember, it’s not what we say it’s how we say it. I have never been able to hear a persons inflection of voice in a text. What was this person really saying?? A friend of mine was walking around a college campus recently. She told me she didn’t see the students faces. Most every student was looking down texting. Very sad, we have to stop hiding behind that little keyboard. Get out there have a conversation it’s so much more meaningful. One more thing, if you are having a family meeting with mom, dad and your kids please refrain from bringing a powerpoint. Dialogue is the key to success.